More than $5,000 was presented to eleven lucky customers of Bluebird Lumber & Hardware yesterday, thanks to Bluebird Lumber’s “Giveaway Promotion” as well as their “Dulux Promotion” which ended on 18 December. For the “Giveaway Promotion”, there was a total of $5,000.00 cash prize that was up for grabs for 10 x lucky winners. There were selected key products that were included in this promotion which ran from 16 November to 18 December. The second promotion was the Dulux promotion which slashed prices for ALL Dulux paint to 50%. This also had a draw for one lucky winner to receive a cash prize of $250.00. The 10 lucky winners were very excited with the news and they feel that the cash prizes come at the right time as we are getting closer to Christmas celebrations. Samasoni Toma of Fagalii was very shocked when he received the phone call to come in and uplift his cash prize. “I never thought I would have been in luck, let alone prize is cash – thank you Bluebird.” he said. “This is just another added benefit of buying from Bluebird. 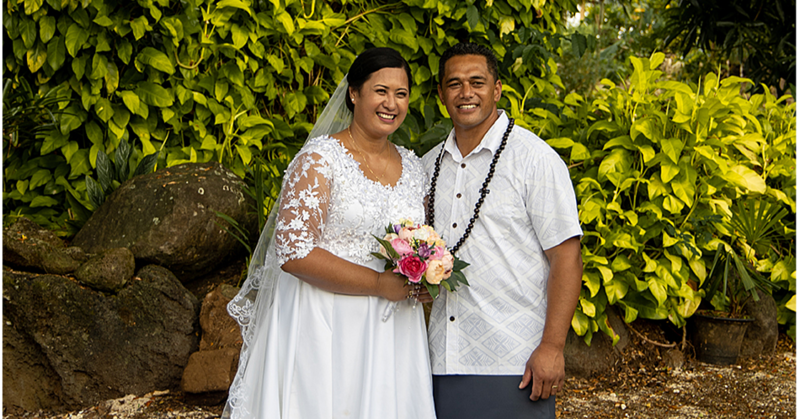 They have the best quality products at the most affordable prices.” says Faaninimo of Vaitoomuli Palauli. Manager of Bluebird Distribution Branch, Faina Ah Liki says that it is such a wonderful feeling to watch the happy customers as they gladly receive their prizes and especially at this time. 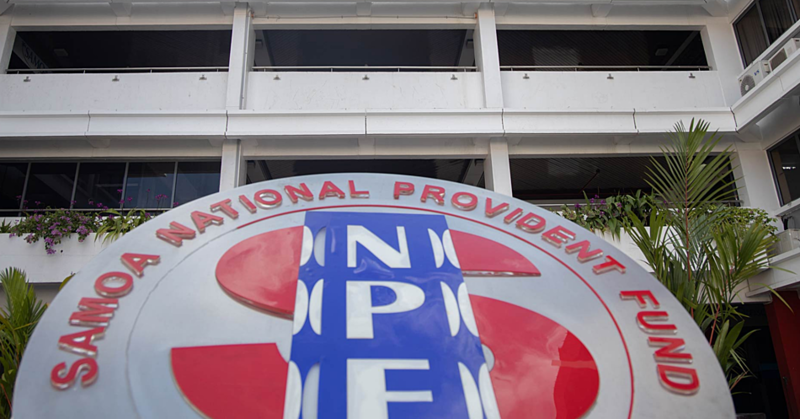 “We have been rewarding our customers since our Transformation campaign in August and we are committed to continue doing it. We are also very happy with the response from our customers in our recent promotions and we plan on continuing with this strategy to coincide with our new signature line “Building & Beyond for You! 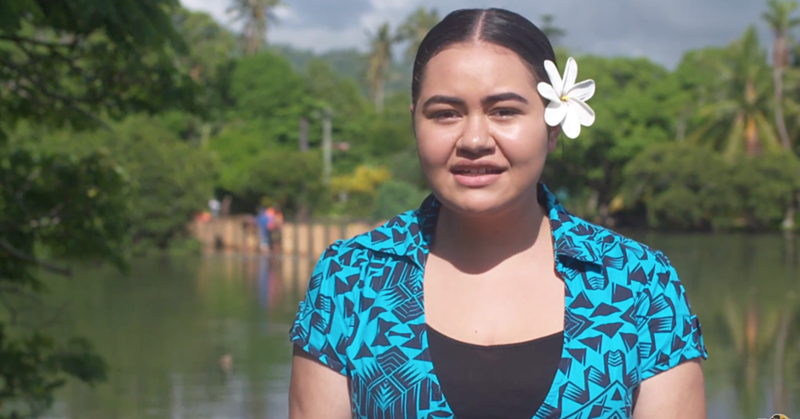 Sueoloa from Saleimoa was thankful and excited at the same time when she was presented her cash prize of $250.00 from the Dulux Promotion. “We took advantage of the great prices for the Dulux paints as all products were sold at half price AND now I am also winning cash!!!”. Sueoloa happily commented after she received her prize. There are two other promotions currently running in-store until 24 December. These are the Bluebird Blue Christmas promotion and also the HPM promotion. 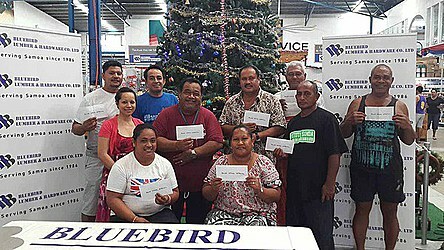 Since Bluebird’s transformation launch in August this year with their new Vaitele Branch, the company has been prioritizing promotions and giving back to their valued customers who have been the backbone of the company.